Title I, Part A provides grants to districts and schools with high numbers or percentages of low-income families to help ensure that all children meet academic standards. Title I can fund Speak Agent as a supplemental program/intervention consisting of instructional materials, technology, and professional development. Title III, Part A provides grants to districts and schools (via states) to supplement programs for students with Limited English Proficiency (LEP) such as English language learners (ELLs). Schools are expected to hold LEP/ELL students to the same state standards as those required of all students. Title III can fund evidence-based education technology solutions like Speak Agent and related services for LEP/ELL students. Student Support and Academic Enrichment (SSAE) is a Title IV program distributed to districts and schools that receive Title I funds. It can be used to support STEM instruction, health and safety programs, or technology enhancements such as blended learning programs, software, digital resources, or professional development. Speak Agent could either fall under the "Well-Rounded Education Activities" (e.g., STEM) or "Technology" depending on your program design. All of the federal grant programs require interventions/programs to meet ESSA evidence criteria. Speak Agent meets the second-highest evidence level (moderate). 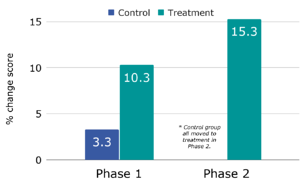 Study Design Meets A quasi-experimental design (QED) was used where classes were randomly assigned to either the treatment or control condition by an independent evaluator, Rockman et al. The study was sponsored by the National Science Foundation. Second-grade students using Speak Agent significantly outperformed the control group receiving standard science instruction on an independently designed test of science concepts. See our evidence page for further details. No Significant Unfavorable Effects Meets No statistically significant unfavorable effects have been observed to date in any Speak Agent study. Speak Agent efficacy data were collected from six schools in two states during two concurrent studies with a total of 230 students from ELL and disadvantaged backgrounds. The "large sample" requirement is 350 students.